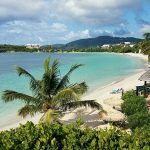 Considering a vacation to St. Thomas in the US Virgin Islands? 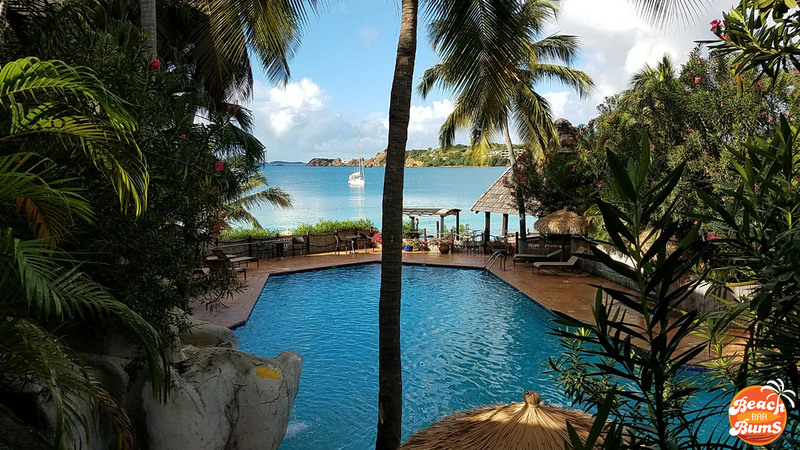 If so, you should consider Emerald Beach Resort, located on the beach at Lindbergh Bay. Literally steps away from the airport, the moderately-priced resort is an excellent option for everyone from singles to whole wedding parties looking for a beachfront getaway in the Caribbean. 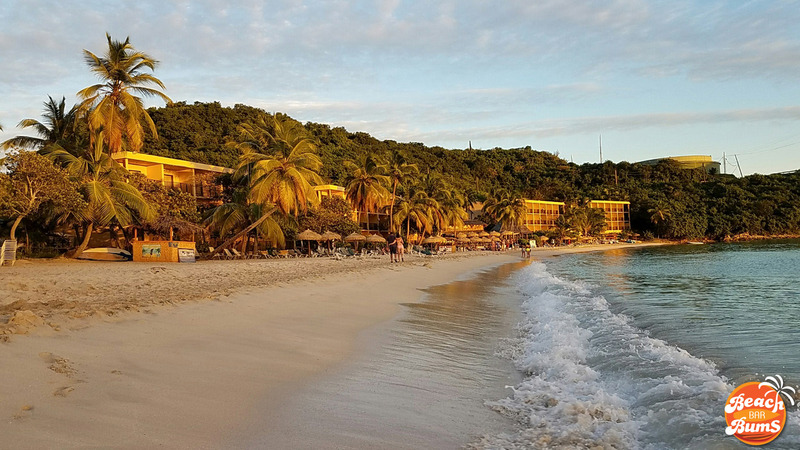 In case my wonderfully-composed opening paragraph wasn’t enough to sway you, I’ve laid out six plus reasons you should take an in-depth look at Emerald Beach Resort. It is my hope that you will find my reasons to be mildly entertaining and somewhat readable but above all, honest and to the point. As stated above, you could hoof it to this resort from the airport in St. Thomas and it probably wouldn’t take you more than fifteen minutes. We opted for a taxi since we had children with us but the close proximity to the airport can’t be overlooked. Beach time is valuable when you’re on vacation so the less time spent on transfers sucking in exhaust and the more time spent on the beach sucking down rum punches is a good thing. The crescent-shaped beach at Emerald Beach Resort stretches out for about 2000 feet along Lindbergh Bay, leaving plenty of room to explore. There’s only one other resort on the beach so the only crowds you occasionally have to contend with are when the cruise ships are in town. No worries, though, as it never gets overly busy to the point that finding your own private space would be an issue. When they leave, it’s just you, the sea and the sand waiting. The southwest-facing beach is one of the main reasons I chose Emerald Beach Resort. I’m a sun worshipper, particularly at sunset when I like to enjoy nature’s show with a cocktail in hand, so for me, the importance of the beach’s bearing can’t be overstated. 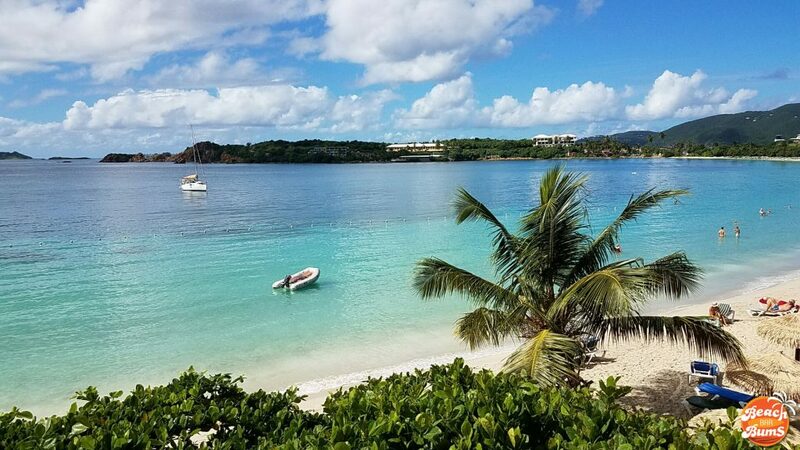 Finding resorts on St. Thomas that offered direct sunset views over a beach is not easy – there might be one other on the whole island. When you find yourself enjoying the setting sun as the warmth from its rays washes over your body, you’ll thank me. 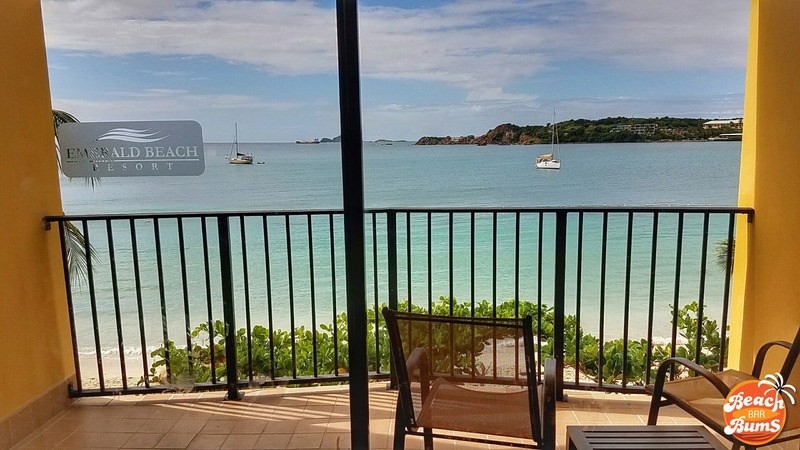 Every room at Emerald Beach Resort is beachfront with a balcony so there’s no need to upgrade to get the best view – it’s included in the price. Everything about the resort revolves around the beach and the rooms are no different. When your view is filled with crystal clear blue water and palm trees, life is good. Prior to our stay and through it, the level of customer service we received at the resort was as good as we’ve received anywhere else in the Caribbean. 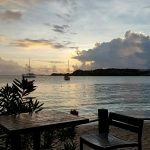 From the bartenders at the Beach Bar to the wait staff at Caribbean Fusion to the front desk staff, cleaning crew and everyone in between, we were made to feel welcomed, comfortable and at home as soon as we walked through the doors at the resort. If finding a vacation home is among your chief endeavors while traveling, take off your jacket and stay awhile– you’ve found it. Did you really think I would leave this off the list? It’s among the main reasons we came here and not only is it a convenient spot to meet fellow travelers, it’s also a favorite among locals, a ringing endorsement any trade magazine would be hard-pressed to top. Located front and center on the resort’s beachfront property, it’s the perfect spot to start, spend and end your day. Beach bar bum tip – try the Amish Pirate. If the beach bar had a signature drink, it would be this rum-based concoction. It has a pool nestled among towering palms and it’s located right next to the beach bar which means two things – the beach is close and so are cocktails. Plus, while we were there, hardly anyone used it so we pretty much had it to ourselves. Pool party! They love hosting weddings at Emerald Beach Resort. Seriously, who wouldn’t want to get married on a beach? With the experienced staff helping you out every step of the way, you’ll have nothing to worry about except whether or not to wear flip flops or go barefoot for the ceremony (*cough* barefoot *cough*). It’s a family friendly resort. My wife and I and our two young kids traveled with my husband, his wife and their daughter and they all loved it. The staff couldn’t have been more accommodating, providing a “pack and play (crib)” upon request, milk for bottles and virgin cocktails among other things. Did I already mention the beach bar? Emerald Beach Resort provided me with a room credit during my stay which I promptly blew on Bushwhackers, Painkillers and Amish Pirates … and occasionally food for the wife and kids. It doesn’t change my opinion of the place, though, as I would gladly stay here again and blow through my money in the exact same manner. Thank you for sharing. Do feel 14 year-olds would enjoy this resort? You’re more than welcome, Christy! That kind of depends on the 14 year old and what they like to do. If you can send me an email at info (at) beachbarbums (dot) com, I’ll give you more information. Thanks! Love your posts! How far to Red Hook and the ferries? Thanks for the kind comment, Bob! They say to allow 30-45 minutes as it just depends on traffic/cruise ships. I think it took us about 30 minutes and that was with traffic in Charlotte Amalie. Just booked here yesterday! So happy to read your review! How long to get to the Charlotte Amalie ferry (to Road Town) on a Saturday (noon ferry)? Thanks! Hello, Kathy, and thanks for reading the review! It’s probably about 10-15 minutes depending on cruise ship traffic. Your best bet would be to check with the front desk because you’ll want to make sure to get there in time for boarding and to buy tickets (if you haven’t beforehand). Have fun! We spent a week here in December 2016 and can’t say enough wonderful things about the resort. Location and beach front rooms can’t be beat! Bar, restaurant and staff were wonderful. 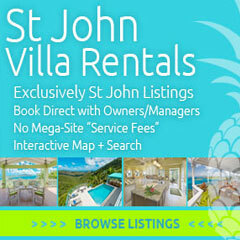 St. Thomas is a great location for day tripping to other USVI and BVI as well. St.Thomas in December has the most wonderful parade of boats in the harbour that should not be missed! Thanks for the comment, Lisa, and glad to hear you enjoyed your stay! 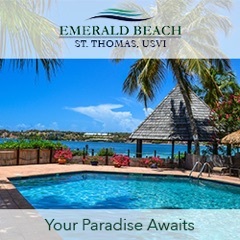 I agree with everything you said about Emerald Beach Resort – can’t beat the staff, location, facilities and beachfront rooms. 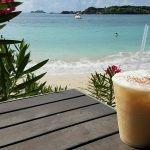 Great advice on St. Thomas as a good location for day trips – I only with we had more time! Cheers!